I have been missing a couple of things very much lately. One of those things is blogging. What was supposed to be a two-to-three month break has stretched into almost a year. Going back to school has been more challenging than I thought it would be. There's a lot of reading and writing. Which sounds a lot like having a book blog. But it's not. I know I can watch Doctor Who on Netflix anytime. And I know he's in a whole lot of other stuff. And Matt Smith is pretty good. 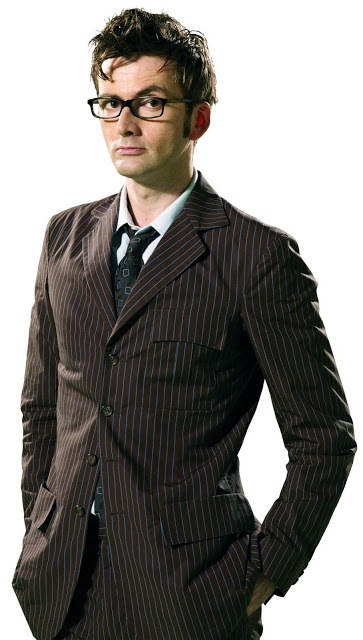 But nothing is quite like David Tennant as the Tenth Doctor. Needless to say, I'm excited about 50th Anniversary happenings. So I was already missing these things, and then I decided to check out some blogs I haven't visited in a while, and Google Reader is GONE. I heard that it was going to die somewhere in between studying the French Revolution and reading the Communist Manifesto, but I guess I didn't take note of the date. Dear Readers, (if any of you are even subscribed to me, I don't even know!!! ), how do you read blogs without Google Reader? I'm lost. I think I missed the opportunity to import my feeds to another reader. I would research this problem but really right now I'm supposed to be studying for a mid-term and writing a paper. (Yes, the fact that I'm even posting anything at all right now is just one form of procrastination I'm resorting to. Pinterest may seriously endanger my GPA.) Any recommendations on a new reader or a how to read other blogs in an organized way? P.S. - Thank you Book Blogging Community At Large. Without your many recommendations, I may have never even watched Doctor Who, and my universe would be a much smaller place. P.P.S. - I keep making the image of David Tennant larger. Did I overdo it?